Using Adobe Acrobat you can type your information directly into the form. Or you can print out the blank form on paper, complete the information then mail it in to our office along with photocopies of 2 pieces of your ID. Our office address is at the bottom of this page. 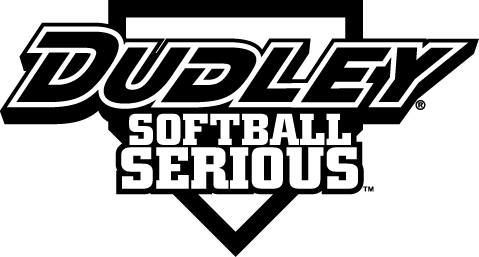 If you have an expired player card and we have your email address in our database, you can renew online. Simply log into your player account at the top of this page using your email address and password. On your player homepage you will see the link to renew online and pay by credit card. If you don't remember your password you can retreive it here. If you would rather not renew online or if we don't have your email address in our database, download and open this PDF file and fill it out as described above. You will not need to send in 2 forms of ID. 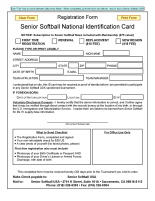 If you want to update your photo, please email it to us at register@seniorsoftball.com or mail a copy to our offices. Our office address is at the bottom of this page. Snowbirds cannot renew online and must complete this form.